Expert in the field for almost a decade, Brigid Scullion is a real estate agent who will provide you with the one-to-one, personalized service that will drive you home (no pun intended!). In order to navigate the picturesque landscape Montreal has to offer, you’ll need the professional skills Brigid has to offer so you can move into the next phase in your life. Whether it’s buying a new home or selling your current property, it’s important to understand the lay of the land; that’s where Brigid comes in. From large family Tudor homes and community townhouses to semi-detached properties and urban condos, Brigid takes the time to know her clients, become part of the conversation so that finding your dream home is a successful and enjoyable experience. The real estate game is a matchmaking service—understanding the local market and understanding the client is what allows Brigid to connect the right home with the right client every time. Enlisting only clients she can close, Brigid has the patience, dedication and talent required of a real estate agent so that you can just sit back, relax and enjoy the journey. 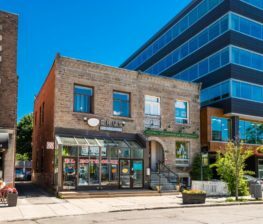 For sale or for rent, find your dream home in Downtown Montreal, Westmount, Montreal-West, NDG and many more beautiful neighbourhoods in Montreal. NEW PRICE/OPEN HOUSE SUNDAY APRIL 14TH 2-4PM! 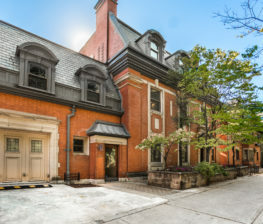 Browse all of Brigid Scullion’s currently listed properties in Montreal’s best neighbourhoods: Downtown, Westmount, Ville-Marie, NDG and Hampstead. Looking to buy in Montreal? Brigid offers every buyer the ability to find the dream home they’ve always envisioned, from modern two-story town homes to historic, stone character mansions nestled among the best streets the area has to offer. Start with call today, and tell her what your dream house in Montreal looks like. 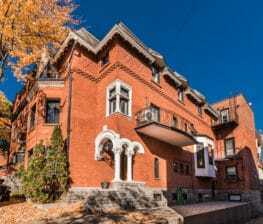 The best homes in the best Montreal areas! Passionate about her community and Montreal’s real estate, Brigid loves finding and matching the best homes and areas that the city has to offer. She always strives to ensure every client finds the right space with the right details to suit their lifestyle, whether it’s one filled with kids and outdoor activities, or enjoying the solace of quiet solitude provided by an exceptional view of the city. In the market for a new home fast? Don’t waste any precious time. Let an expert with years of experience in the best Montreal neighbourhoods take care of you. Brigid Scullion will learn to understand your needs and criteria and will help find your perfect home. Get in touch today. Stop dreaming! Start moving in to your dream home! We invite you to get in touch to share in more detail your wants, needs and a wish list, for your dream home in Montreal, Downtown, Westmount, NDG or the nearby. In today’s competitive Montreal real estate market, trusting an established and knowledgeable expert will save you time and effort. Stand a notch above the rest. With a unique approach that leverages all the tools available – from traditional online listings to targeted print ads and focused, cutting edge social media promotion of each unique home – Brigid knows how to find the right buyer and create the most value, delivering you the best selling price. Brigid starts with capturing the essence and character of your home through beautiful photography. Then, a top-tier advertising campaign is executed, targeting the right audience for your property. Did you know that 95% of staged homes sell faster and for up to 17% more? Brigid’s expert staging and preparation to sale advice will set the mood just right and show off your property in the best light.